To lead well, we need to be continually learning and gathering information - surround yourself with a diverse learning community and breathe in some great books! Here you will find some of my recommendations for reading, (particularly on leadership) and some other things and people I think are great. I'm always looking for recommendations, so send me yours! By Adrienne Maree Brown: This is one of the most inspiring books I have read in a while. 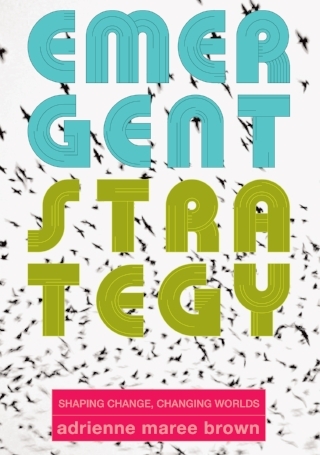 Brown offers a hopeful and alternative look into emergent leadership & social change. While she draws on her experience and several influential authors, she draws on science fiction writing & productions. Her writing style is also quite unique. As a recent Star Trek convert, this mashup really resonated with me! By Shirzad Chamine: As a coach, Chamine understands the power of shifting perspectives and small actions that can drastically impact our lives. He draws on neuroscience, experience and practices of mindfulness to offer ways to improve our own thinking and the function of teams. Weakening the voices of saboteurs is a key topic of this book, and of co-active coaching! By Lee Bolman & Terrence Deal: I call this one a "text" rather than a book. It's an excellent read on leadership, though you need to be in student mode. Bolman and Deal are visionary, yet rooted in the context of current leadership and organizational dynamics. They explore viewing organizational challenges through four frames (structural, symbolic, political, human resources) in order to make sense, prioritize and create strategies. Want a lighter read with similar content, pick up "How Great Leaders Think" by the same authors. If you are looking for holistic nutrition consultation, look no further. Stephanie is passionate about food and the body and has several side projects that are worth checking out on her website. Tharseo means "to have courage." Courage is something that Jill has and continues to demonstrate. She provides insightful workshops, psychology & groups and has a passion for diversity. Josh is one of the most creative people I know. He is a deep thinker and often writes and shares really meaningful thoughts on life and on being human. His design and artwork is excellent and he is usually working on several interesting projects! By Donella Meadows: This is easily my favorite book on systems thinking. Meadows offers great insight on systems and presents the information in a logical, and yet beautiful, way. In my opinion, Thinking in Systems should be required required reading for anyone who works in leadership... or better yet... all humans.